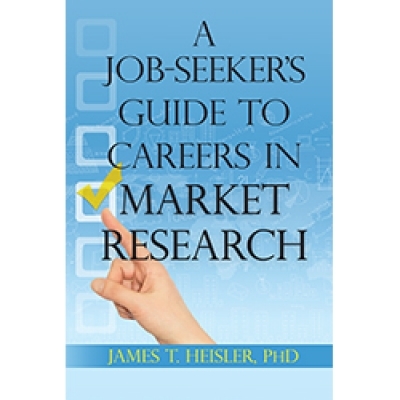 "A Job-Seeker's Guide to Careers in Market Research by Dr. James Heisler"
Author: Heisler PhD, James T.
Hundreds of thousands of people work in market research around the world. Some 400,000 of these market research jobs are in the U.S. It is safe to assume that as a child not one of these individuals ever uttered the words: “I want to be a market researcher when I grow up.” Moreover, very few had ever heard of the industry, or wondered about a profession with it, until they were in college or beyond. If you’re like most people, you’ve come to market research through a serendipitous path. Perhaps you heard about it in a college course, became aware of public opinion polls, read some statistics in a news article, or were exposed to it while working in a related job. This comprehensive guide shows you how to enter the field and how to carve out a successful career that makes the most of your own special skills, aptitudes, and interests. Dr. Heisler’s goal in writing this book has been to paint an accurate picture of the market research industry at the beginning of the 21st century—its size and scope, what value it provides, who works in the field, who uses it and for what decisions, the market research process, common methodologies, growth prospects for the industry, and what lies ahead. 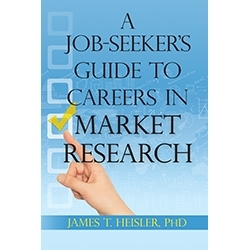 In addition to setting the context, the book helps readers explore market research as a career choice—requisite skills, education, and training; where the jobs are, how to get that first job, what you are likely to do as an entry-level employee, moving onward and upward, potential earning power, success profiles, and stepping stones to related careers. By the time you finish reading this book, you should have a good understanding of the industry and be able to make an informed assessment of whether this is a career you want to pursue.